The Artist Directory is searchable and sort-able. Each artist’s name is linked to their artist page and each address is linked to a map. Use the search box at the top right of the directory to search for artist, medium, tour stop number, or city. To sort columns in ascending or descending order click the arrow tabs in the subject area of each column. You can skip to next page with the bottom left ‘previous/next’ buttons. 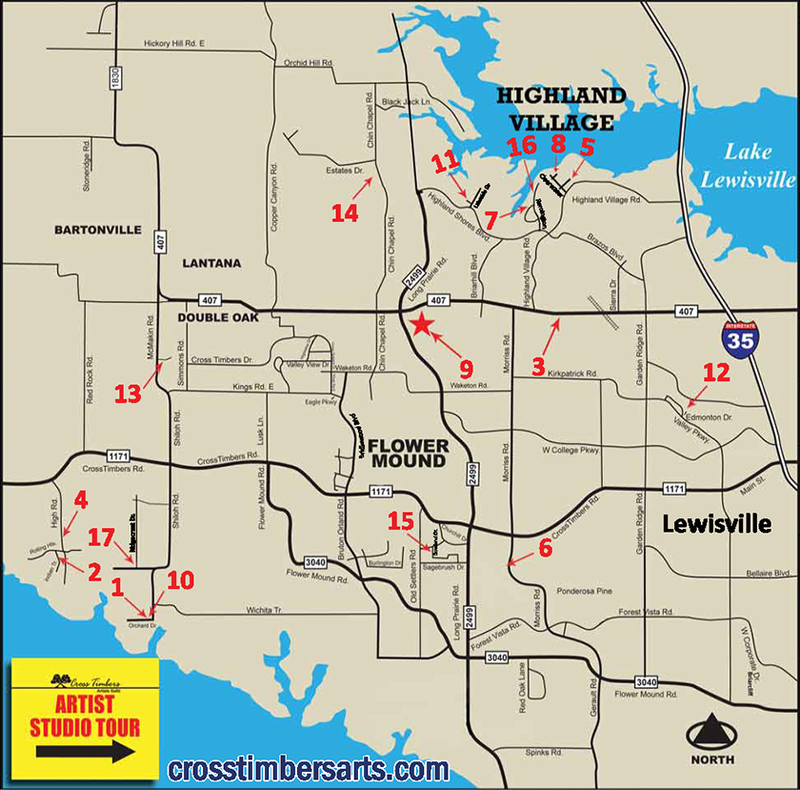 Use the map as a visual reference to studio locations. Drew, Colleen G. Drew, Colleen G.